Finding our voices as women and using communication to empower ourselves. 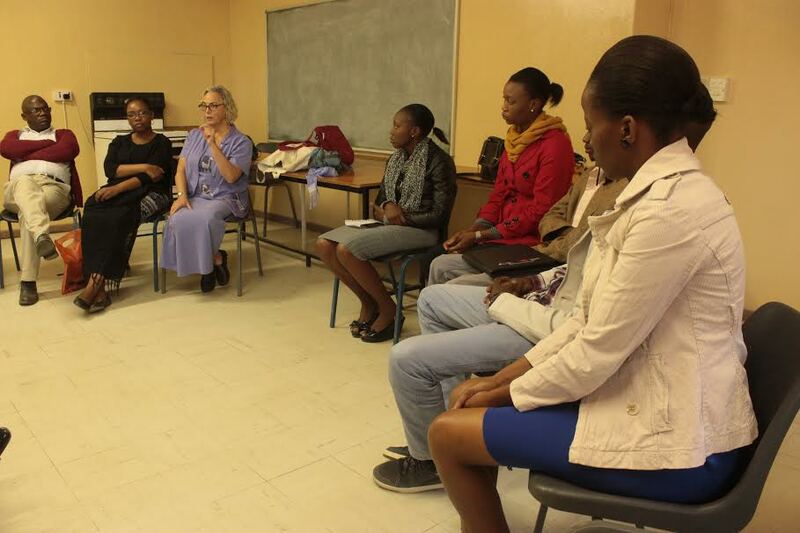 A group of about 10 women and one man— clients and staff of the only shelter for women seeking refuge from domestic violence in Botswana—came to an NVC workshop this week at the shelter׳s office. As an ‘NVC trainer’, I thought I would facilitate sharing and listening to each other’s stories by offering NVC- based communication coaching. One woman, we’ll call her Noa, told us her story: how she had tried to get support from her own family and her in-laws to escape the violence of her husband. And how none of them helped her, either because of their own fear or their loyalties to him. So she fled to the shelter, where over the last two years she has built a new life for herself and her children, including starting her own successful business. After she shared her story, with much visible emotion, I asked her if she wanted to hear how her story had touched anyone sitting in the circle. Very quietly, she answered, “Yes, I would like to hear that.” I asked if anyone wanted to say how they have been touched by her story. The room was quiet. I asked Noa if she would be willing to help people understand why it’s important to her to hear from them. At that moment, another woman spoke up with great passion, and shared how she had been touched and inspired to hear how Noa had gone from hopelessness to hope; how she went from a sense of having no future to building a future for herself and her children. We talked about how she had come to value herself and her own needs, and how that had empowered her to take action to save herself and her children. The women shared how hard it was to prioritize taking care of themselves— this is considered selfish in their culture. And others pointed out how only by valuing yourself can you save yourself and your children, and advance society. We did several role-plays, one involving the hurt a woman was feeling in her friendship with another woman. We did some coaching to help her communicate to her friend in a way that really paralleled the deep care and value she felt for this friend and their friendship. As listeners to the role-play, we pointed out where we heard blame, which kinds of expressions generated a sense of defensiveness, and which ones created trust that the friendship and the friend really were valued. During this week in Botswana, I have had conversations with numerous women, in many fields, about what the obstacles are to women in Botswana taking the lead in stopping the epidemic of HIV, which still affects over 50% of certain age groups. One obstacle that has come up several times is that the women don’t support each other in demanding safer sexual practices. So I was very happy for the opportunity to support this woman in the shelter, and to brainstorm with the other women present about how women can speak honestly to each other and still create a connection of trust and friendship. Toward the end of the session at the shelter, people asked if there were other opportunities to continue this training. We invited them to the training for NGOs that will take place later in the week.